Understanding the environmental characteristics of your application can make all the difference to product selection, as Texcel explains. 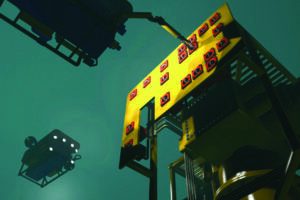 There are several vertical markets that are subject to harsh environments including: marine and subsea, oil and gas, and industrial electronics. Understanding the environment in which a finished product will be used is key to its design, as well as to the specification of any electronic sub-assemblies and the outer enclosure. With extensive experience of designing and manufacturing electronic systems for use in harsh environments, Texcel claims to understand the design considerations engineers face here. Commercial director for Texcel, Peter Shawyer, explained: “There are lots of issues that need to be considered: is the product accessible after it has been deployed, what is the estimated life of the product, what temperature range will it be operating in? These will all impact on the selection and assembly of the components and the outer housing.